The method for franking an item, as recorded delivery is slightly different from other franking services due to the fact that the item will need to be checked by staff in the Post Office before it can be sent. You can still frank the item – you will need to weigh the item, calculate the postage (including the 95p recorded delivery charge) then frank the envelope or label. You will need to prepare the item slightly differently for posting – we have included this information at the end of the article. Once the item has been prepared you will need to take it to the Post Office to be checked. When it comes to posting the mail, the recorded delivery mail should be kept separately and handed to the driver (if your franked mail is being collected) or a member of staff to ensure that you get the delivery you are paying for. This is a service that is often used for important mail as the recipient needs to sign to say they have received the item, this offers peace of mind and proof of delivery for the sender. You will also be able to check the delivery details online at any time. When using a franking machine you should make sure you have selected the recorded delivery option before you’ve put in any other option to make sure it includes the extra fee. How Much Does Franked Recorded Delivery Cost? Below is a table showing some of the costs of sending franked recorded delivery mail. When sending Recorded Delivery mail you will receive proof that your item has been delivered to the sender, you also have the added benefit of being able to check the status of your delivery online. As well as this the item you send is also covered against loss or damage of up to £50 or the value of the item. Once you have franked your item you will need to do a few more things before it is ready to be sent. You should have a ‘signed for’ delivery log book, you will need to write the address details into the logbook, then put a barcode label onto the front of your envelope or parcel and put the reference stickers into your logbook. Once this is done, write the total number of signed for items you are sending and then sign and date the log book. This book will need to be signed by the delivery driver or cashier at the Post Office. Recorded Delivery is a great way of sending valuable or important mail, you have the advantage of being able to check online when your mail has been delivered and the recipient will need to sign for the mail too. 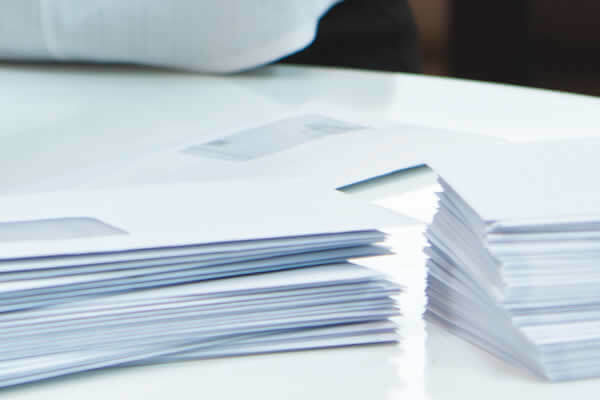 If your business is concerned about the post getting to the sender or they want to be sure the sender has received it this is a great option, and one that you can do using your franking machine! You have peace of mind and up to £50 coverage – all for a very good postage price!